Sears Holdings, which operates both Sears and Kmart department stores, reported third quarter earnings that were a disappointment to just about everyone, including Sears Holdings executives. The company reports a net loss in the third quarter of $748 million. In the third quarter of 2015, the company lost $454 million. While all brick-and-mortar retailers have struggled with the changing consumer landscape, Sears appears to have had a particularly hard time coping. "We remain fully committed to restoring profitability to our company and are taking actions such as reducing unprofitable stores, reducing space in stores we continue to operate, reducing investments in underperforming categories and improving gross margin performance and managing expenses relative to sales in key categories," company CEO Edward Lampert said in a statement. In fact, Sears is responding to its market challenges by getting smaller. In a conference call with analysts following the earnings release, chief financial officer Jason Hollar said closing stores was just one way the company is trying to cut its losses. “Focusing on our product categories, over the past several years, we have significantly reduced the size of our consumer electronics business, which has experienced operating losses,” Hollar said. He also said that in the prior three months, Sears had reduced the size of its pharmacy business which operates in some Kmart stores. JC Penney went through a similarly painful period a few years ago and in recent months has appeared to make some headway in the marketplace. So is there hope for Sears, one of the oldest names in American retail, to turn things around? The headline on a Salon piece about Sears – “Sears Death Watch Update” – isn't particularly reassuring. 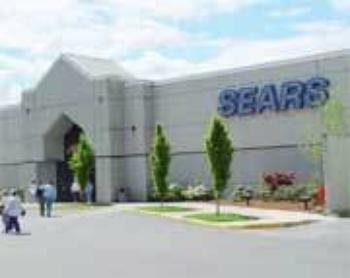 The piece notes this is Sears' 20th straight quarterly loss and that key executives have recently left the company. A Business Insider article calls Sears “The Titanic of Retail,” noting that the company is shuttering 64 Kmart stores this month, at the height of the holiday season. The publication quotes Neil Saunders, the CEO of the retail consulting firm Conlumino, as saying the money Sears is raising through the sale of assets is not being used to grow the company, but simply to “prop up an ailing and failed business."